How do I add a note to my activities/workouts? How to add a note to activities and workouts, to let your coach know extra info. Adding notes to your workout is a great way to keep track of how you’re progressing and to communicate this with your coach. On your schedule's weekly view, select the activity or workout you'd like to add a note to. You'll be sent to the next screen, where you can select 'Add note'. 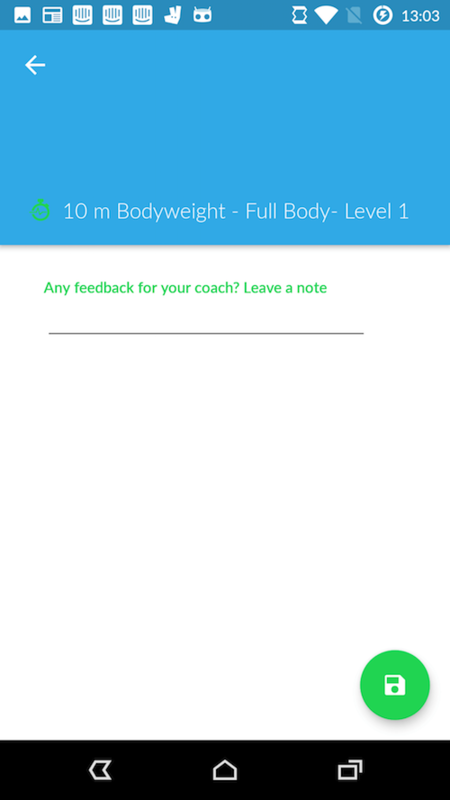 You'll be sent to a screen with a text box - use this to add notes that your coach will be able to see. Please be aware: You can go in and edit the note until you've tracked the activity. Once you've tracked the activity and the note has been sent to your coach, it's no longer editable. First, click on an activity or workout to head to the details screen. From here, select the green icon. You should be able to choose from tracking the activity or adding a note. Selecting the grey note icon will allow you to type out your note and attach it to the activity or workout.